The project is a proposal to support the Balearic government in its bid to re-start the research and monitoring of the oceanic posidonia meadows around Menorca because, as with the fish studies, these were all stopped in 2011 and none have been carried out since. The Balearic government has already approved the re-instatement of the posidonia oceanica network and agreed with TRGASATEC that they will start this research in 2019. TRAGSATEC have contacted OBSAM, and as their plan would be to carry out this project together, they have asked if OBSAM could start the research already in 2018 to not delay collecting the data any further. As the network, methodologies etc. were all put in place already and carried out between 2004 and 2011, re-starting this research group is relatively simple and something which comes as a priority now that the DECRETO DE LA POSIDONIA (Posidonia Decree) has been approved. 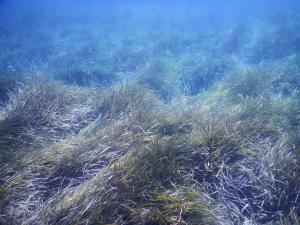 Monitoring oceanic posidonia is considered essential in order to understand the marine conservation context as a whole. 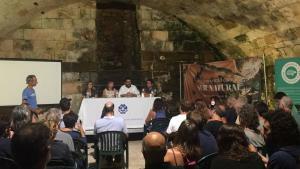 The project would be carried out in coordination with the Dirección General de Pesca y Medio Marino del Gobierno de las Islas Baleares (Balearic government branch responsible for the Fisheries and Marine environments). This department were who originally started up the network of research onto the posidonia in Mallorca via its LIFE posidonia project. It would also work closely with TRAGSATEC who are a private company specialising in research, consultations and engineering of environmental matters. To start the campaign of monitoring of posidonia during the summer 2018. In Menorca there are a total of 14 research sites which involves a large amount of time and resources and therefore OBSAM is proposing to carry out the initial research at 5/6 of the most vulnerable and relevant areas in 2018. 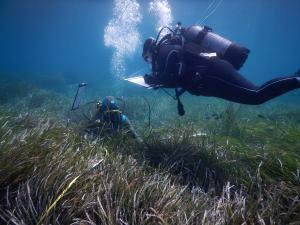 Evaluate the state on conservation of the current posidonia meadows surrounding Menorca and relate to various parameters such as water quality and anchorage pressure. Evaluate the state on conservation of the current posidonia meadows at the Isla del Aire to give us a baseline of its conditions before applying the eco-moorings project funded through BLUE/Sunseeker. Locate possible surviving NACRAS, a species included un the Habitats European directive, as it is facing a period of mass mortality in both the Balearic and eatern spains coastlines. Identify sensitive/vulnerable areas and detect possible ecological inbalances. 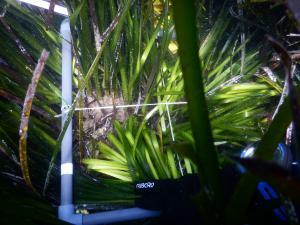 Detect the presence of invasive species. Elaborate a series of statistics that will allow the observation of tendencies in the future and be able to be used as bio-indicators. Field research: study carried out in July and August 2018.